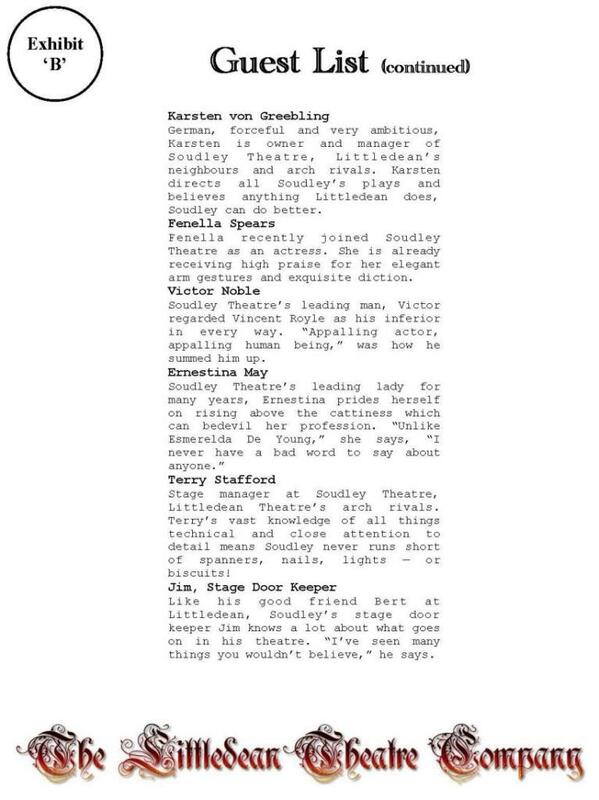 A cast list from the theatre programme. A copy of the Littledean Bugle. Paper money and all the other essential paper props: coroners reports, blackmail notes, etc. 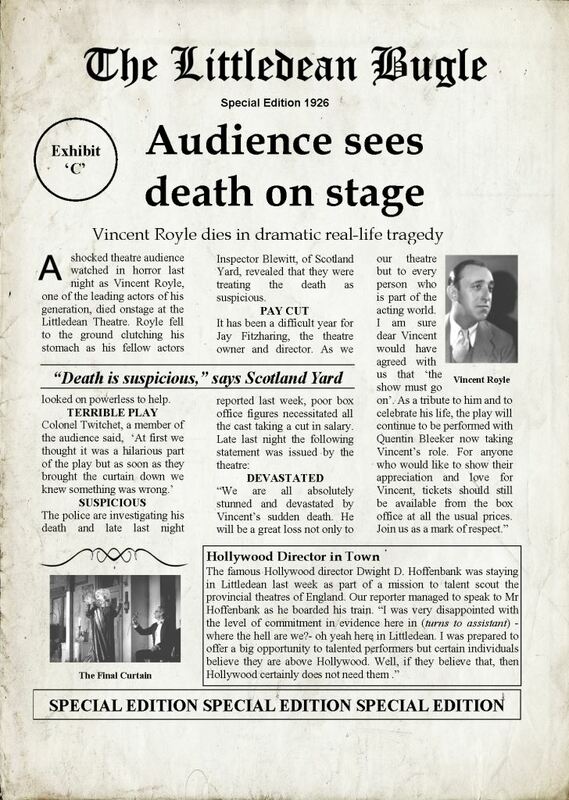 An extract from the fateful play which your guests can perform to search for further clues. 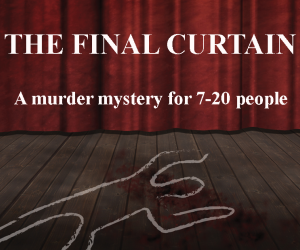 Designed for groups of 7 to 20 people, The Final Curtain runs for up to 4 hours and works particularly well over dinner. One person acts as co-ordinator, responsible for making sure everything goes smoothly and that guests receive all the information they need. They, like all the other guests, also have a character to play in the mystery. 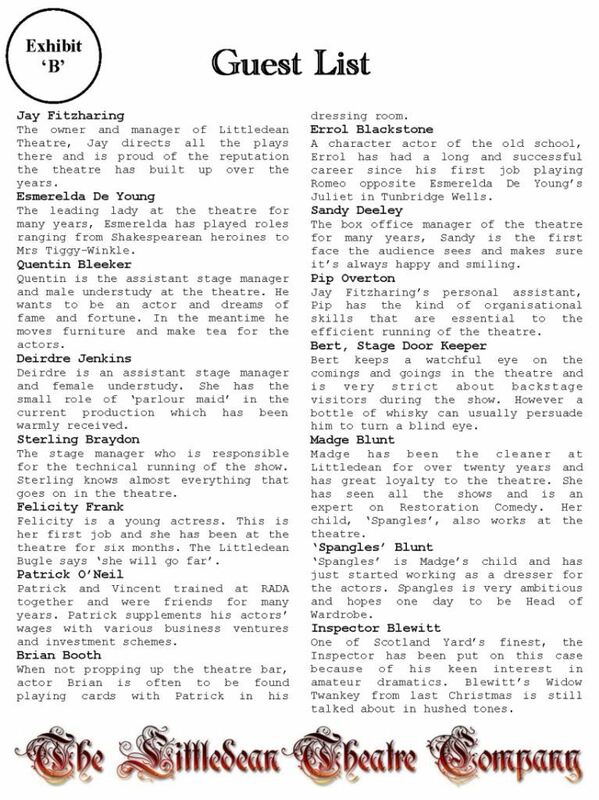 The co-ordinator plays Jay Fitzharing, owner and manager of the Littledean Theatre. (Jay can be a man or a woman). 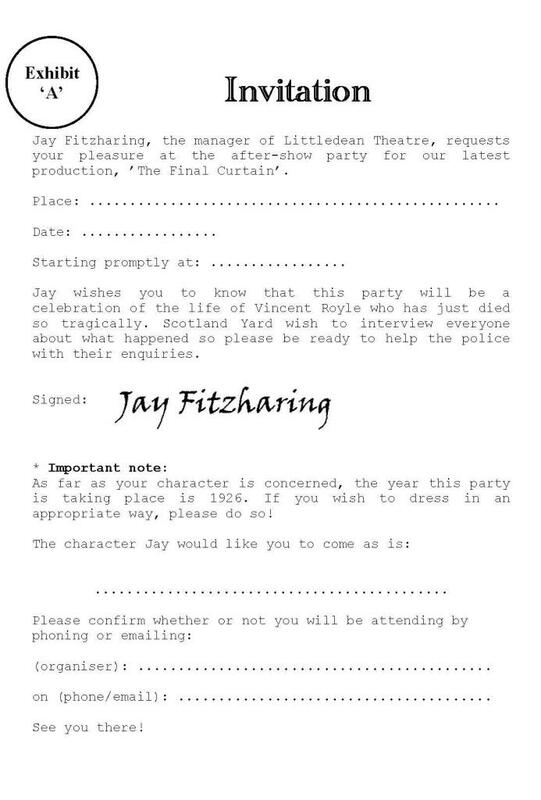 One of the guests will be the murderer. As well as trying to identify him/her, the other character have their own, personal objectives to pursue. These will get them talking to everyone else as they become involved in other sub-plots along the way.